The year of casinos 2019 has just begun and already the CasinoViking has tried out a brand new online casino called HandyVegas. The first things he would like his readers to know are that this casino is licensed by both The Government of Gibraltar and the UK Gambling Commission. Handy Vegas also supports tablet and mobile devices with are great for players, like himself, who travel and love to play on the go. Throughout the rest of this review, the Viking will be bringing you information that he collected about HandyVegas. This includes information on their promotions, games, suppliers, support, and payment providers. The welcome bonus at HandyVegas comes in the form of a deposit bonus and spins. Which means they will give you a percentage of your initial deposit as bonus funds. You can then gamble this before using your own funds. You will also be able to use the free spins on a preselected slot. There are other promotional offers as well including bonus boosts and free spins on deposit. Handy Vegas also have a VIP Program where you can get exclusive rewards. This includes faster withdrawal times and higher deposit limits to name a few. These rewards are all based on what VIP status you have acquired. The higher your status the better the rewards. Make sure you read the full terms and conditions before signing up. Handy Vegas would not be much of a casino without games. Fortunately for us, they have a good selection on offer. Their selection includes jackpots, live dealer, casino games, and instant win. They also have a new games section to showcase all their latest releases like Mustang Gold, Ninja Ways, DoNuts, and Trolls Bridge to name a few. This also means you will find all the best game suppliers here including BTG, Pragmatic Play, Nektan, Eyecon, Netent, and more. 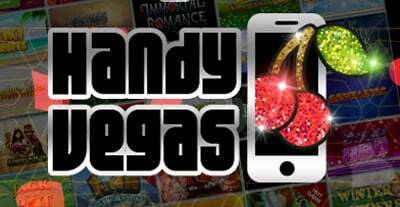 Handy Vegas support a wide range of payment providers and a lot of the most popular ones as well. This includes Skrill, Zimpler, PaySafe Card, Maestro, VISA, Boku and more. This means there is a payment option for everyone. The technical support is also well established and comes in four different ways, an FAQ, live chat, email, and telephone support. It is worth mentioning that the live chat and telephone support have opening hours. This means they are not available out with the times specified on the Handy Vegas support page. The Viking was pleased with his first trip of the year and found HandyVegas to be an excellent casino. The casino its self was user-friendly and nice to look at with its black and white colour scheme and great graphics. He feels that Handy Vegas has set the bar for 2019 high and hopes the coming year will bring more great casinos. So there you have the thoughts of the Viking and how he enjoyed HandyVegas. So why not sail there in his wake and enjoy this handy casino for yourself.